When you get to Step 4 and are ready to write an offer on a house in the Iowa City area you know you’ve hit a major milestone in the home buying process. With the help of your buyer’s agent you’ve done your due diligence. You’ve viewed homes and found the one that is a perfect fit for your lifestyle. Your agent has given you guidance on market activity and pricing in the neighborhood the home is located and supplied you with information on recent home sales. You’re ready to go. You feel comfortable enough to move forward and write an offer on the house you think will be the perfect fit for your needs, at least for the next few years. Price is not the only factor you need to think about when it comes time to write an offer on a home.There are three major components to an offer – Price, Terms and Conditions. The plan is of course to get the best price and the most favorable terms and conditions for you. At the same time it needs to be appealing to the sellers. There’s a balancing act to getting this part of the process right. There’s much more to writing an offer than haphazardly filling in the blanks and hoping for the best. You really need to think about what you’re doing and listen carefully to the advice given to you by your agent. To start with, if you haven’t done so already, you’ll need to sign an Agency Disclosure acknowledging that you’ve been educated on the Rules of Agency in Iowa and how they apply to you in the purchase of a home. I’m pretty vocal about my support of Single Agency. (This is when buyers and sellers have their own agents. Dual agency is where the listing agent represents both parties). There are many reasons to work with a buyer’s agent. Having someone in your corner who has no obligations to the seller when it comes to this part of the process is one of them. Before writing an offer you’ll need to sign off on the Residential Property Disclosure form. This is a form filled out by the sellers giving information on any problems they might have had during the time they lived in the property. Or it may contain information that there were no problems. Either way it’s required for buyers to acknowledge receipt of these documents. If the home was built before 1978 lead paint disclosures will also need to be acknowledged and signed. Amount of Earnest Money to be deposited into the listing broker’s trust account (This is generally between $500 – $1000 for lower priced homes and a gesture of good faith that the offer is genuine. If the offer is not accepted earnest money is returned to buyer immediately). 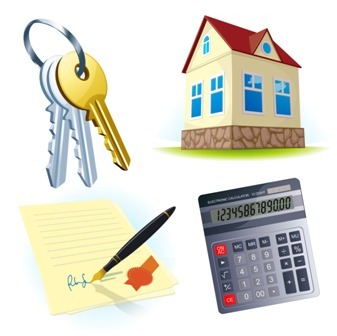 Other financing details such as asking the seller to pay closing costs. (I wrote a post about “Seller Paid” Closing Costs that’s worth reading before you decide about that one). This is a partial list of major items in the standard Iowa City purchase agreement. It includes the most common contingencies – Financing and Inspection Contingencies. The purchase agreement is 4 pages long and typically agents in the Iowa City area use the forms supplied by the Iowa Association of Realtors. It’s usually one of the first two options that occurs. It’s rare that a seller will ignore or reject an offer. (A REALLY low offer that offends the seller is an example of when it could happen that a seller chooses not to respond). This negotiating phase can go back and forth a couple of times until everyone is on the same page. ***It’s not a legally binding contract until buyers and sellers have both signed and are in agreement with ALL the terms of the contract. Additionally, buyers and sellers both need to have a copy of the signed documents for the contract to be enforceable. Electronic communication is perfectly acceptable in the age of the Internet.